Professional pilots, in corporate aviation, dedicate much of their lives to perfecting their craft and advancing their flying skills. To become a pilot, one must commit a significant amount of time and money to their career. The timeline for the profession is in part why many private jet operators and aircraft owners struggle to find and retain qualified pilot candidates. The demand for professional pilots is increasing at a disproportionate rate to the number of pilots entering business aviation. There are simply not enough individuals choosing the pilot lifestyle, but why is that the case? How much time does it require, what does it cost, and what is the overall value of becoming a professional pilot? The training costs to reach a minimum wage, entry-level, flying job currently run upwards of $250,000. First year pilots, with the required hours to fly at regional airlines and with some private jet operators have historically started with a salary of less than $35,000 a year. As the pilot shortage is felt within aviation, pay and quality of life for entry-level professional pilots is also changing, allowing pilots to achieve livable levels of income and better benefits, overall. Becoming a respected pilot, in business aviation or within the commercial sector is a process that takes many years. 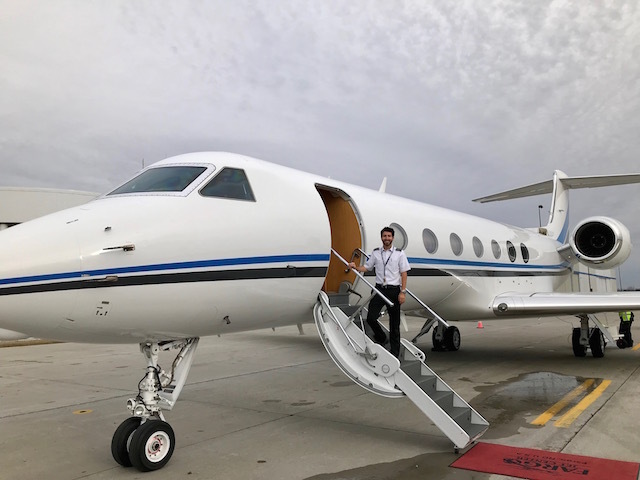 Reaching the place where a pilot has the necessary skills and experience to operate a large-cabin aircraft like a Gulfstream G550 or Global 6000 takes, for many aviators, over two decades or longer. Business aviation is a non-linear career path, uncertain due to economic factors, aircraft sales and acquisitions, and various unexpected factors. There is no general rule for the amount of time it will take to reach the left seat of their ‘dream aircraft.’ “Progression is different in the corporate ranks,” says Cliff Holt. To continue to share that love, passion, and purpose of flying, organizations like Women In Aviation and regional aviation groups exist to support the future of deserving pilot candidates. Clay Lacy Aviation offers both pilot and maintenance technician scholarships to aspiring aviation professionals. It is essential that the aviation community, and those closely connected to aviation, continue to invest in future flying talent through organizational support and mentorship— as the future is the way to continue to build upon the success of the present. Want to learn more about what it is like working as a professional pilot in business aviation? Discover the perspectives and appreciation one pilot has for his profession.